← Playground for little kids or big kids? 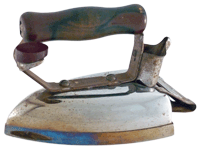 As a promotional device WebRing has decided to run a Iron Webmaster competition. Intended to be like the Iron Chef TV show, contestants are given a series of specifications and asked to whip up a website in a number of days. Though the actual Iron Webmaster site could do with some work. As a note left on their scrolling text thing put it, if this site were entered into the Iron Webmaster competition it would loose. Go find my round 2 (parody) Valentines site here. And for those people feeling generous, go vote ‘best’ for my site here. This entry was posted in Web sites and tagged Iron Web Master, WebRing. Bookmark the permalink.